The Supreme Court of Appeal (SCA) in Bloemfontein has turned down an application by triple axe murderer Henri Van Breda to appeal his conviction and sentence. 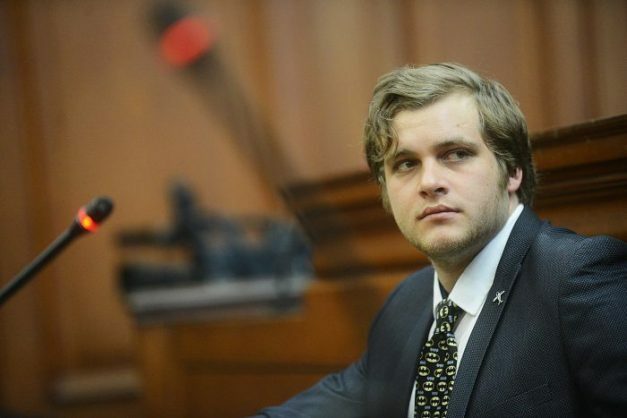 Van Breda, 23, was convicted in May of the brutal 2015 axe murders of his parents and elder brother, the attempted murder of his younger sister, as well as defeating the ends of justice. He received three life sentences, 15 years for attempted murder and a year for defeating the ends of justice – all sentences were ordered to run concurrently. In August, Western Cape High Court Judge Siraj Desai turned down his appeal application and said he hoped it would be “the last word on the case”. In his ruling on the application, Desai said the State had established “conclusively” that the appellant was responsible for the crimes. But, Van Breda’s lawyers believed another court could come to a different conclusion and filed another application to appeal in the SCA. The application was dismissed on Tuesday.